I hope you had a fantastic week and are ready to relax and enjoy another episode of "Live, with Scott!" This week, we’re talking with the CEO of DiabetesSisters, Anna Norton. We’ll be discussing their Minority Initiative, which is increasing awareness, education, peer support, and resources for under-served populations of women living with diabetes or pre-diabetes. Scott Johnson: Hey, welcome to another episode of Live with Scott. Thanks so much for tuning in. My name is Scott Johnson. I’ve been living with diabetes since I was five years old, and the diabetes social media space, that’s you, has been an important part of my wellbeing for a long, long time. Thanks so much for helping me along. As your host today, I am thrilled to connect you with the CEO of DiabetesSisters, Anna Norton. Scott Johnson: But first, last week’s winner. Congratulations to Rina Rossi, who just wants some fun, mySugr swag. We’ll send you a message on Facebook after the show to coordinate details. Stick with us to learn how you can also win some fun free mySugr swag, too. Scott Johnson: Now, while we get going, please share a quick hello in the comments and let me know where you’re watching from. Today, I’m actually broadcasting from Washington, D.C., out here for some fun, interesting meetings, and I hope to be able to tell you more about that very soon. It’s a little chilly, rainy and different than the San Diego temperature that I’m used to. However, I was born and raised in the Minneapolis, Minnesota, area, so I’ve got those deep cold weather roots with me. Scott Johnson: Anyway, if we cover anything that resonates with you today, please show us some love. And if you know anyone that might find this helpful, please share this with them. I would really, really appreciate that. Today’s episode is sponsored by the mySugr Bundle. Get unlimited strips, automatic supply refills, personalized support, and more, all for just $49 per month. Learn more at https://mySugr.com/facebooklive. Scott Johnson: Now, more on this week’s guest. Anna Norton was diagnosed with type 1 diabetes in 1993. She is the current CEO of DiabetesSisters. In her spare time, she enjoys spending time with her husband and son, reading, traveling, doing hip hop fit dance classes. And that’ll tie into what she talks about today. We’ve got an awesome video to show you after the interview wraps up, and she loves to cheer her son on at baseball and soccer games. Scott Johnson: Today, we’re going to learn more about DiabetesSisters’ Minority Initiative, which is increasing awareness, education, peer support and resources for under-served populations of women living with diabetes or pre-diabetes. Alright, you guys ready to get started with the interview? Let’s dive right in. Scott Johnson: Hey Anna, thanks so much for joining us today. Great to see you again. Anna Norton: Hey, Scott. How are you? It’s good to see you, too. Scott Johnson: Doing great. Well, I’m excited to have you on the show. So, not long ago, we had Karen on, who talked about a cool upcoming initiative, but at that point, she couldn’t really tell us a whole lot about it, and we’re going to change that today because it has gone live. But before we get into that, for those that don’t know you, let’s tell them a little bit about you and your diabetes story and so forth. Anna Norton: Sure. So my name is Anna Norton, and I live outside of Chicago, Illinois. I have been living with type 1 Diabetes since 1993, so I’m going into my 26th year. I managed my diabetes with an insulin pump, with long-acting insulin as well. So I kind of try some weird different things. I’m doing the untethered regimen, or is it the tethered regimen? I always forget how it’s called. I go less with my pump, and then I use long-acting insulin to sustain me over the course of the day and I wear a CGM. I’ve been wearing a CGM for nine years now. I have an 11-year-old son, who was a whole part of the whole diabetes pregnancy thing years ago. Anna Norton: I’ve tried to live as best I can with diabetes. I try not to let it stop me. So, I’ve done a lot of different things. Travel overseas and speak, dance and exercise, and do all of those things. I try not to let diabetes getting my way. Anna Norton: Professionally, I work in diabetes as well, I’m the CEO of DiabetesSisters. Many people know about us, but for those that don’t, we are a nonprofit organization here in the United States, and we provide support and education for women who live with any kind of diabetes. So, we’ve been around for about 11 years. A lot of stuff online at https://diabetessisters.org, and then we do a lot of really cool stuff in person. So we have peer support meetups all over the country in 22 states, we have a minority initiative program in five different cities, where we’re reaching out to women and under-served populations, Hispanic, Latina women, African American women, Asian women, South Asian women. That’s loads of fun too. Anna Norton: We train our peer support leaders. Once a year, we bring them out to Chicago. We do a weekend of training and development, and every couple of years we have a big conference. It’s called The Weekend for Women. And that is a lot of fun. It’s a lot of peer support. It’s a lot of education. We bring in CDEs, endocrinologists, and cardiologists to talk about the facts behind diabetes, and help us live better. Anna Norton: So, it’s great fun, and I’ve had the opportunity to meet a lot of people. Scott, you’re one of them. Lots of people that, before I came to DiabetesSisters seven years ago, I knew from reading blogs and reading different magazines, and feature articles, and all of those things. I was always very inspired, and so that has really set the precedent to what I do today at DiabetesSisters. Scott Johnson: That’s great. Thank you for that. What we’re gonna talk about today is the Minority Initiatives program that you mentioned. So let’s not even delay or go anywhere else. There’s so much going on there. I would love to hear about what it is, what’s happening with it, how it came to be, that kind of stuff. Anna Norton: I was really disgruntled in hearing that because I realized that there was not enough education, where people that were taking this sort of initial type 2 diabetes drug, or even a pre-diabetes drug. I was hearing it in my own family. My family is from Cuba and my parents are, obviously, they’re Cuban, and we have a lot of relatives. Diabetes is really big in the Hispanic/Latino culture. The education is not always there. Anna Norton: So, I remember thinking, “We, as an organization, DiabetesSisters, we need to let minority groups know that metformin is not insulin. That’s not what it’s doing.” So how can we educate the people in our community? And so we developed a minority initiative program, and we launched it in April of 2016 at a health ministry outside of Washington, D.C.
Anna Norton: But it was really, really inspiring and really eye-opening. We just brought in a couple of speakers. Let’s just talk about resources that women with diabetes or pre-diabetes can attain. Let’s bring in an educator to talk about drugs or to talk about treatment or to talk about misconceptions. And one of the very first things that we heard when we asked the group of women that were there, we asked them, “Why did you come?” We put it out there to the communities, completely free event. Anna Norton: And they said to us, “We came because we were just diagnosed with pre-diabetes, and our doctors told us to come back in one year.” And they said, “So, now we don’t know what to do between now and one year. In one year, when we go back, will our A1cs be higher? Will we get put on medication? We don’t know. We don’t know what to do, so we just came seeking information, because we want to learn more about how to manage a condition that we don’t already have.” From there, we just continued to grow the program. We branched out to New Jersey, where we’re starting Asian American women in the same thing. Scott Johnson: That’s on my end, sorry guys. Let me get that turned off here. It’s one of those like where, which browser tab is ringing right? Anna Norton: It’s so cute, though. Scott Johnson: Welcome to the joys of live, live, right? Yeah. And it’s funny because before we pressed the big red button, your phone rang, and I said, “Don’t worry about it,” so, of course, it’s going to be something on my side. Anna Norton: Exactly, and that’s really eye-opening. For us, that’s a very small sample group, but then when we extrapolate the big numbers, if a group of 25 women in Silver Spring, Maryland, are asking these questions in 2016, what is the rest of the country, what is the rest of the world asking or not asking, or what information are they getting or not getting when they’re visiting healthcare providers. So, later that year, we actually did another program in the same ministry where we brought in a chef, a chef that had a health education background, and he cooked an entire Thanksgiving dinner. Anna Norton: Right? Which is very, very diabetes-friendly. So, he swapped out some things. He took away white russet potatoes and he cooked sweet potatoes and, instead of a full turkey, he made a turkey breast. And then he just kind of went through this whole conversation, and it was really interactive. Some women in the room did not know that they could even buy just a turkey breast. They didn’t know that they could roast the vegetables. They thought they had to boil all the nutrients out of them. Anna Norton: And again, just really eye-opening, something that we taught to women on a Tuesday night, and then, on Wednesday morning, they can go to the store, and make more conscious decisions about the things that they were buying. And they knew exactly where in the grocery store they could purchase these things, or even which grocery stores that you can get these things. And so that was really important. In the following years, we’ve taken the program to Miami, where we have an educator and a physician who do the program solely in Spanish. Anna Norton: Which has been really, really marvelous and instrumental. So, we’ve done exercise components. This group happened to be older women. They are women over the age of 65, primarily with type 2 diabetes, some with type 2 on injectables, all of them taking oral meds, but they have so many questions about whole grains and whole wheat and soy milk and carbohydrate intake. So, they have some education, but they don’t have all of it. Anna Norton: One of the beautiful things is that one of the educators that we have, she comes from Colombia and she provides them these really great maps of what different cultures are eating. So, the different Hispanic countries, what they’re eating. She talks a lot about the different Latino fruits and vegetables, and the carbohydrates and each of them, so that people don’t feel like they have to not have what they’re used to having. So it’s all really culturally relevant, very, very important. So, again, this group of women, they walk out and they’re empowered. Scott Johnson: Yeah. There’s something really powerful about, this is something that makes me think of our mutual friend, Cherise Shockley. In bringing this stuff back into the communities and back into the streets- There’s all this information online, but it can be a challenge to wade through everything and find the information that is accurate and relevant to you and your situation. And so bringing these people together in their local communities, where they’re comfortable and around people just like them, and then allowing them to have these discussions, and get some information that triggers new questions, and being able to ask those questions right on the spot. I mean, it sounds so, so powerful. Anna Norton: And we always said that if we can effect change in one person, then we’ve done what our mission is, which is to support and to educate. If one woman can go to the store and feed her family more healthily, then we’ve done what we’ve set out to do. If one woman can do exercises at home who wasn’t doing it before, but now knows what exercises to do, then we’ve done what we set out to do. Anna Norton: We can do a lot of things online, but sometimes what we have seen is that this community is not online. Culturally, they prefer to see someone, someone that looks like them, that speaks their language, that, eats the same kind of foods as them, or at least is familiar with the same kinds of foods or will understand the way that medical jargon works. You know, sometimes it’s a family thing, not only an individual thing. Anna Norton: Sometimes the women that we’re having at the groups are there representing their spouses, because culturally, they’re taking care of their husband who has diabetes, and so they’re able to incorporate the healthier lifestyle or the sort of diabetes-friendly lifestyle as soon as they walk out of the classroom. Anna Norton: And so they’re a lot of fun. We try to do those things, but what we did this year is something that we’ve always wanted to do with DiabetesSisters, and we’ve never had the opportunity, but we finally did. We extended our program here into the Chicago area and partnered with a local minority business. A gentleman by the name of Gene Hicks, he runs, a hip hop fit studio, here in town, and we partnered with him to bring diabetes education to the membership. Anna Norton: We had our first event in January. We had about 60 women show up on a Friday night, just cold Friday night. The studio was sort of a warehouse. It’s not particularly warm, but these women get to dance, and then it got really warm. We had great sponsorship, including our friends at Livongo Health. They provided us two educators to come and speak about the value of physical activity, and how it relates to managing blood sugar, and they were local women. They just came out and they talk for maybe 15, answered a couple of questions, and then we just got down to business, and we just started dancing. Anna Norton: It was incredible. We had women of all cultures and sizes and races and ages participating with us, so much that when we were finished, they were like, “When are we coming back? When are we doing this again?” We’ve scheduled a second event here in Chicago, which will focus on healthy eating. It’s the beginning of the year still. We have a lot of people that are dieting, and they don’t always understand what is the keto diet or a low carb diet, or how low carb do you have to go? Anna Norton: And so we’ll have an educator, also, a local educator, who will be there addressing these questions. And then, it’s another free event, another hour of dancing, and more education. We have all kinds of flyers and pamphlets and kinds of things that people can take away. And then we send them to our website. And at the end of this month, February 28th, we have an event in the D.C. area. Anna Norton: One of our board members, Dr. Frank Lavernia, he will be speaking to our group at the Health Ministry in Silver Spring again, and he’ll be speaking about the different oral medications that are available for diabetes now. And what other indications they may have for heart health and for kidney health, and just have those conversations, so that people better understand what it is they’re taking and how they’re beneficial in other areas of their life. Scott Johnson: And I think what I anticipate also being very beneficial at that event is most of us really underestimate the number of options that exist for people with type 2 diabetes, and the tools that are available to help them manage their blood sugars and other associated conditions. Scott Johnson: So, for example, if I’m taking a medication that is causing a side effect that I don’t like, I can have a conversation with my doctor to find out what other options there are because there are almost always other options. But, if I don’t know what that landscape looks like at all, I’m not able to have that discussion with my provider in an empowered way. So, I think it sounds so powerful to just start opening these conversations up and showing what that landscape looks like. Anna Norton: As I said, I’ve been living with diabetes for almost 26 years, so there’s a lot of things that have happened in my body. I have insulin resistance and I know that, so what are some of the medications, or what are some options that I might have? I might not learn that from my provider, because of my provider’s focused on Type 1 Diabetes. 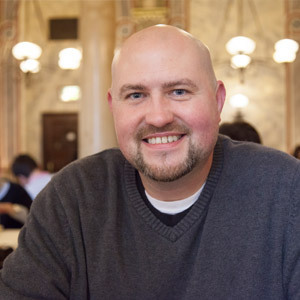 Scott Johnson: I think that’s super empowering and thank you for taking the brave steps of finding ways to provide this information to those communities that are so often underserved and also simultaneously hit harder by diabetes than other population. So, I think there are wins on so many levels here, and, just a big thank you to DiabetesSisters. Anna Norton: Thanks. Thank you. Thank you for showcasing a lot of the work that a lot of us do as advocates. I would be remiss if I didn’t mention a partnership that DiabetesSisters has. We have a partnership with WomenHeart, and WomenHeart is the coalition for heart disease in women. So, they do what DiabetesSisters does but they do it for heart disease. Which is also very, very necessary, and a lot of times, the things that happen with heart disease, they go hand in hand with diabetes. So, we partner with them to offer us speakers, not only with type 2 diabetes and have heart disease or are working on preventing heart disease, or even managing it. Anna Norton: And so we work both ways. We’ll send them community members and they send us community members. So we work also with some of their cardiologists, and they address this minority program as well, which has been really instrumental. So, we’ll be working with them later in this year, some different programs in the D.C. area and in Chicago and in New York, to bring those connections to light. Which is also really, really exciting and also very, very necessary, because diabetes, as we know, it doesn’t sit in its own little circle. It affects so many other parts of our body and heart disease for women, especially for women with diabetes is even more escalated. So, we’ve been doing that as well. Scott Johnson: That’s great. So looking at the website that talks about the Minority Initiative, so that’s at the https://DiabetesSisters.org/minority-initiative. That is where, viewers, you can go and look for the most recent information, find out more about the program and keep an eye on that page for upcoming events that might be happening in your area. Another thing, I’m gonna open this up a bit, and Anna slap my hand if I’m overstepping, but if you have connections in your local area that you think might be able to help Anna and her organization facilitate these types of events, I imagine that, Anna, someone in your organization would be open to investigating those and looking at how feasible it is. I mean, it’s always important for organizations to balance their resources and capabilities in smart ways. I also imagined that you’d be open to expanding the program as much as you’re able to do. Anna Norton: Well, absolutely. One of the things that DiabetesSisters prides itself on is doing very, very much with very small staff. We’re three. We’re a staff of three, three full-time employees, but we really rely on the generosity and the dedication of our volunteers all over the country. We always have. That’s just the way the DiabetesSisters has always operated. Anna Norton: But yes, if there’s anybody out there who’s watching this, who’s interested in bringing a minority event in your area, who has connections, if it’s a dance thing, a studio or a facility or a speaker or a professional, we would love to hear from you. Anna Norton: But also, if there’s any woman out there who has diabetes or pre-diabetes, who even wants to lead a peer support group, reach out to us, send us an email. We monitor that. We read all of our social media. And let us know if you’re interested in going to an event, and you live in one of the 22 states that we’re at, please come. We would love to see you at them. That’s what we are. We are one really, really huge sisterhood of women who show no judgment. It’s a safe place. It’s a meeting for you. All of our attorneys are like that. Scott Johnson: Yeah, that sounds so nice. And I’m so thankful that there is an organization like DiabetesSisters out there. So, congratulations on being able to expand this minority initiative in new ways. I’m excited to watch it develop over the coming years. Again, the next upcoming event, February 28th, Get Meducated, what’s new with diabetes medications. Anna Norton: Yes, Get Meducated! Scott Johnson: Mount Jesuit Baptist Church in Silver Springs, Maryland. Scott Johnson: February 28th. And you guys can find all the latest information at https://diabetessisters.org/minority-initiative, and then spend some time looking at all the other great resources on the DiabetesSisters.org website. That’s like your best entry point to get connected with Anna’s organization and surround yourself with some support and education and knowledge, which is such a big key for living well with diabetes. Anna, is there anything else that we didn’t cover in enough detail or that you want to dive a little deeper on? Anna Norton: Well, I would like to mention, and Karen also hinted at this last year when she was on this show. We have a new online initiative. It’s called Between the Lines. I encourage anyone to go to our website and read these stories. They are stories that are written by real women living with diabetes, with real circumstances, real-life events. Anna Norton: So, we’ve got stories about women with diabetes sharing their complications, sharing their successes, sharing their different life events, if they got married, if they graduated from college. Some things there that are a little sadder, but they happen to us sometimes. Women that go through divorces or lose health insurance because they lost their job and all of those. But they are real stories. Anna Norton: Every single one of them, for me, you know, it makes my eyes very watery, because they are so candid and they’re so raw and they’re so honest. And again, if that’s a story that someone is telling, it’s not the only person who has that story. So, I urge you to go take a look at them. This month, we’re featuring Anne D, who, not only does she have diabetes, she has a heart disease and kidney disease, and she shares about her experiences. Anna Norton: Her story has a really great happy ending. It’s a wonderful story to take a look at. We’re also sharing Phyllisa’s story. She talks about moving, moving to another country, and how she managed diabetes. So, the stories are really about trying to sustain between those blood sugar lines that sometimes can be really daunting for us, and how sometimes we’re successful and sometimes we’re not. And oftentimes we’re not successful when we have other forces that are affecting our lives, which is every day if you think about it. Anna Norton: So those stories are great. Go take a look at them. You can find those on the DiabetesSisters.org page. It’s called Between the Lines. We have about 18 stories that are there. So, take a look at them. Every woman is real. Every woman who wrote it, and if there’s a woman out there who wants to share her story, let us know. We’d love to feature it. We’d love to put you on the site. Scott Johnson: Great. Thank you. Again, thank you for all you’re doing. Thank you for sharing so much. I feel like we dove into a couple of things today, but DiabetesSisters does so much more. So, if you’re interested in learning more and connecting with others like you, then head over to DiabetesSisters.org sign up for the newsletter. Stay in the loop on the latest information. Scott Johnson: A great way to help yourself, a little step and helping yourself live better with diabetes, which is what it’s all about. All right. Thank you, Anna. And we’ll get you guys back on again soon to share the latest updates and what else is happening there. So, yeah, thanks. And we’ll talk to you soon. Anna Norton: All right. Thanks, Scott! Bye everyone! Scott Johnson: Alright, there you have it. I hope you also enjoy getting to know Anna and learning about all the great programs coming out of DiabetesSisters, and you heard her mention the hip hop fit event in January, and we’ve managed to get our hands on some video. Let’s take a quick look. Scott Johnson: Alright, fun, right? 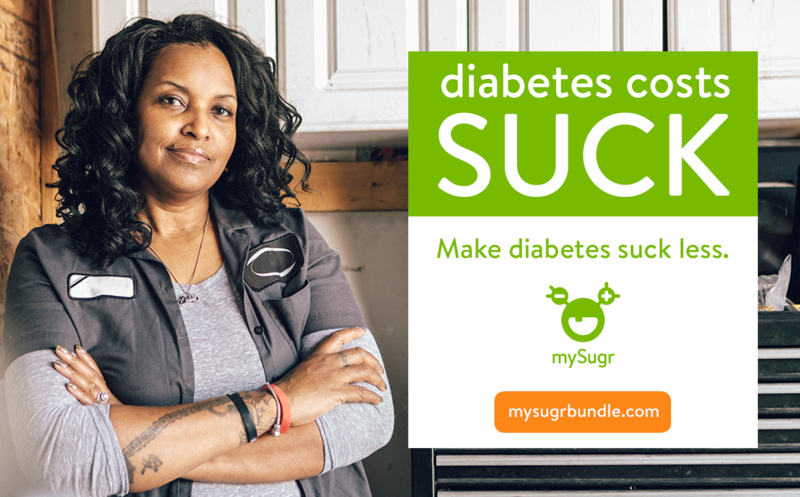 Again, you can learn more at diabetessisters.org, and as a special face to all of you watching today, I have another mySugr tote bag with some goodies inside, like a pop socket and a few stickers that I want to give away. To enter the giveaway, leave a comment below. Let me and Anna know if you enjoyed today’s episode, and before next week’s show, I’ll randomly pick a lucky winner or two and announce them during the start of next week’s broadcast. Scott Johnson: Once again, today’s episode is sponsored by the mySugr Bundle. Get unlimited strips, automatic supply refills, personalized support and more, all for just $49 per month. Learn more at mysugr.com/facebooklive. Scott Johnson: And during the show, you may have heard Anna and I mention – whoops! Button mash up mistakes here! You may have heard us mention a mutual friend, Cherise Shockley. Cherise also happens to be my guest next week, and she has a fun new project up her sleeve, and you won’t want to miss that. So, be sure to tune in where I’ll connect with Cherise, and she’ll fill us all in on what she is up to. Scott Johnson: So, thank you so much for joining today. Please like this video, share it with your friends. Have another amazing day and I’ll see you next week. Thanks.